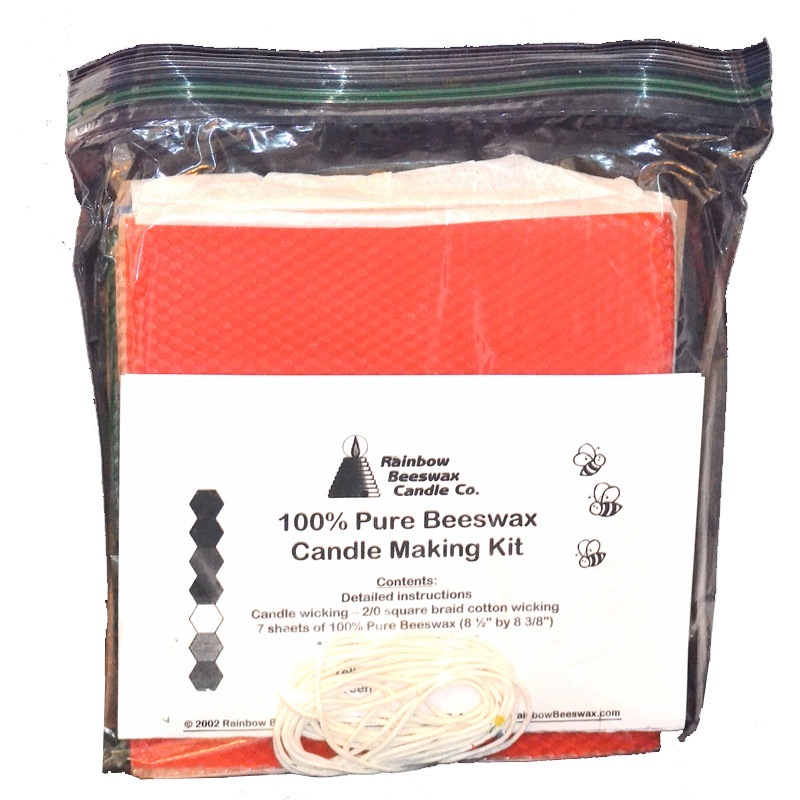 Our candlemaking kits contain 6 sheets of 100% pure beeswax foundation sheets and cotton wick. Each sheet burns approximately four hours when properly rolled. Making beeswax candle is now safely available to all ages. Great way for kids to safely make candles without using hot wax. The kits are available in two styles; rainbow colors and all natural colored. Our colored sheets contain natural colorings to maintain the air health benefits only found in beeswax candles. Each kit contains 6 sheets of rainbow colored beeswax. The colorings used in the sheets are considered safe and natural. 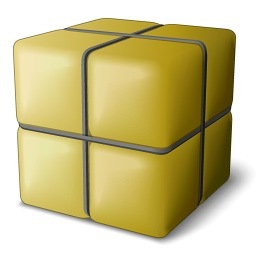 Each sheet is approximately 8” square and when rolled tightly will burn approximately 4 hours. Also included in the kit is cotton wick and instructions on how to make your own unique beeswax candles. Each kit contains 6 sheets of natural colored beeswax. Each sheet is approximately 8 1/2” square and when rolled tightly will burn approximately 4 hours. Also included in the kit is cotton wick and instructions on how to make your own unique beeswax candles. This kit contains 6 rainbow colored sheets of 100% pure beeswax. Each sheet is 4” by 4”.